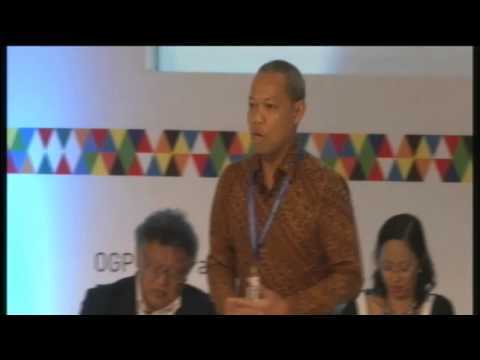 Videos - ULAP Represents LGUs for OGP Asia Pacific Regional Conference with the theme “Unlocking Innovative Openness: Impetus to Greater Citizen Engagement”, May 6-7, 2014 held in Nusa Dua, Bali, Indonesia. ULAP represents LGUs for OGP Asia Pacific Regional Conference with the theme "Unlocking Innovative Openness: Impetus to Greater Citizen Engagement", May 6-7, 2014 held in Nusa Dua, Bali Indonesia. The following video was streamed live on May 7, 2014 during the Closing Plenary on the topic: Take Actions! Innovative Openness in Asia Pacific. The session featured one representative from each different sectors that are represented at the Conference who will provide brief impression on their two-day experience and mark their respective action plan to drive further innovative openness. Executive Director Czarina Medina-Guce represented the Union ofLocal Authorities of the Philippines for local governments. Ms. Medina-Guce discussed three main points: 1.) OGP must be owned by local governments for OGP to be effective ; 2.) local government must strategize for innovative implementation of OGP in sub-national levels ; and 3.) moving forward: what may be the focus of work.